The original gin with added collagen by Young in Spirit. As seen in Sunday Times Style, Vogue, Cosmopolitan and other famous publications as well as most recently in Dragons’ Den, they are the gin brand everyone is talking about. 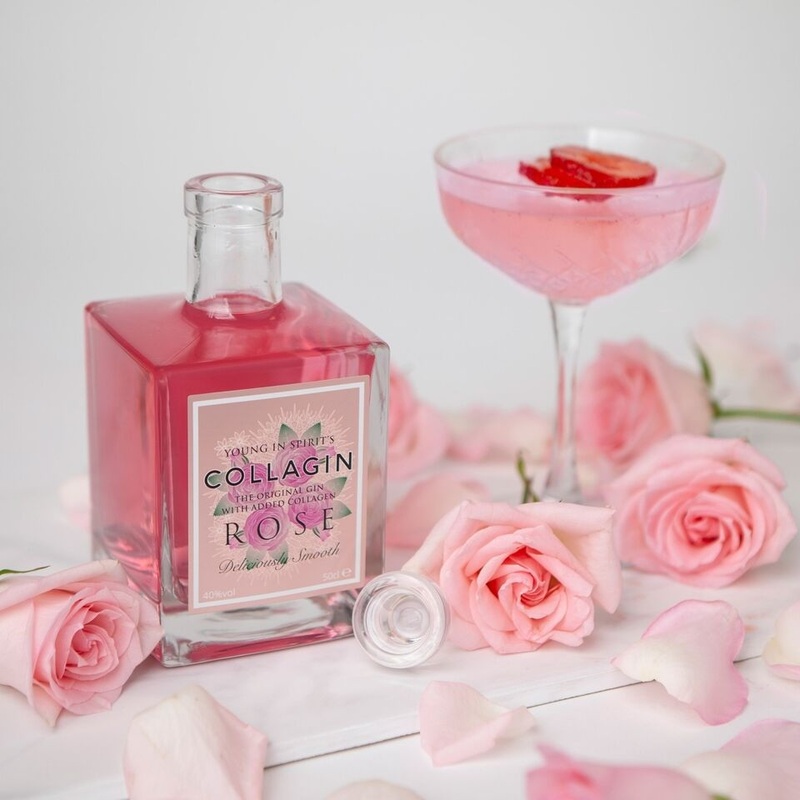 Young in Spirit is the only company to add Collagen to spirits with the first being a gin aptly named Collagin. The unique company was set up by Oxford based ‘gintrepreneurs’ Cam Brown and Liz Beswick who wanted to combine their love of beauty and booze and create something that put a smile on people’s faces and got them talking. Collagin is not a health product but it looks and tastes divine! Cam and Liz met each other at a marketing agency in Oxford. The pair quickly realised they worked really well together, and bounced off each other in terms of creativity and their determined ‘let’s get it done’ attitude. They soon became demotivated by the mundane, restrictive 9-6 lifestyle and wanted to not only create a product they were proud of but also a company that they wanted to work all hours for. One that didn’t make them wish their Monday – Friday away. The pair recently pitched on Dragons’ Den and received offers from two Dragons. Also available in a mini 5cl bottle.